I’m headin’ to me old stompin’ ground of San Francisco this week. This weekend is my favorite comic convention of the year: the Alternative Press Exposition this Saturday and Sunday: April 8th & 9th. Once again, I’ll be sharing space with my pals at Global Hobo, purveyors of fine hand-made and hard-to-find comics. We’ll be at table #443 on the main floor. 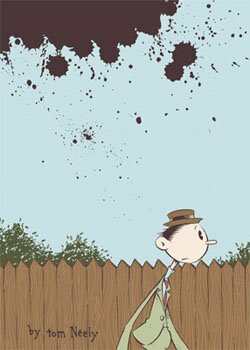 What I’ll have with me… The West-Coast debut of my latest comic “tuesday.” A 26 page black & white comic about a man terrorized by a mysterious ink blot. Survival of the Fittest catalogs. 30 page full color book featuring artwork by Renee French, Levon Jihanian, Andy Kehoe, Kathleen Lolley, Tom Neely, Scot Nobles, Lark Pien, Jesse Reklaw, Billy Reynolds, Zack Soto, Gin Stevens, Scott Teplin and Matthew Thurber. The newly pressed 3rd printing of Henry & Glenn 4-Ever by Igloo Tornado (Igloo Tornado is the artist collective that consists of Me, Levon Jihanian, Gin Stevens, and Scot Nobles). 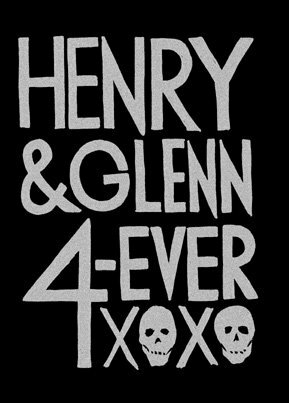 A 16 page black & white comic that presupposes a domestic relationship between Henry Rollins and Glenn Danzig. Igloo Tornado Gocco Postcards- designed and printed by Levon Jihanian. 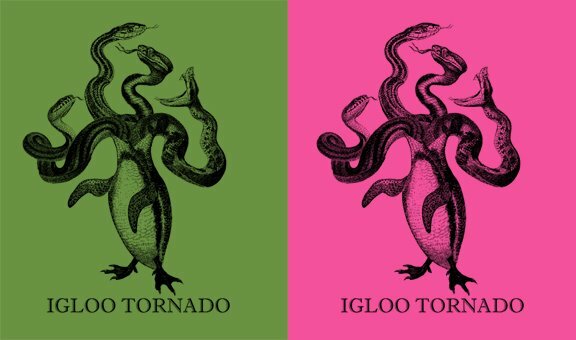 Igloo Tornado T-shirts in stylish olive green for boys and hot-pink for the ladies! 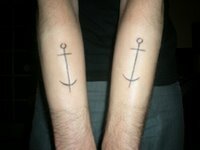 Designed by Me and Scot Nobles. 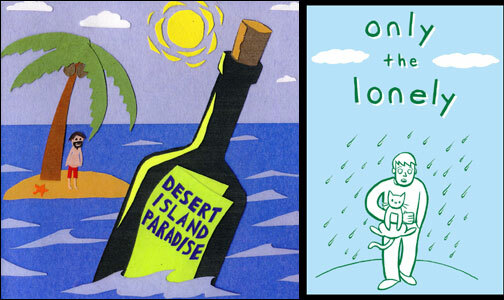 And at Josh Frankel and Joe Sayers’ nearby table, you will find two hilarious anthology comics featuring work by me: Desert Island Paradise and Only The Lonely. I will also have some of my older comics with me, and possibly some original art for sale. Also this week: Brett Reichman, my favorite painting teacher from the San Francisco Art Institute (where I got my MFA), has a show at Paule Anglim opening Thursday, April 6th. And Friday night- check out some of my friends at this comics-related art show.